Although many students in band and sports have already returned to school for daily practice, school officially starts on Monday August 21 for us. Summer seems to have slipped past us without much fanfare and no vacations, but some years are like that. 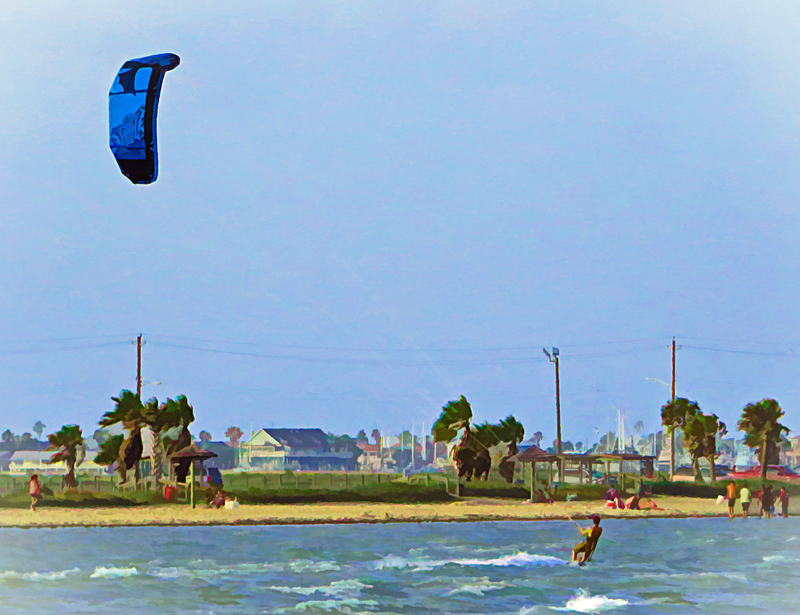 I am still having fun exploring the new photo editing software Topaz and took one of my photos of a wind surfer in Rockport, Texas from a vacation in 2014. The photo was kind of dull. It was a gray windy day. This effect, titled Bluebell Impression, gave this photo new life. I love the colors and feeling of movement, the wind in the trees, the waves and the taut sail in the sky.